Faceless hood improvements and yet another design. 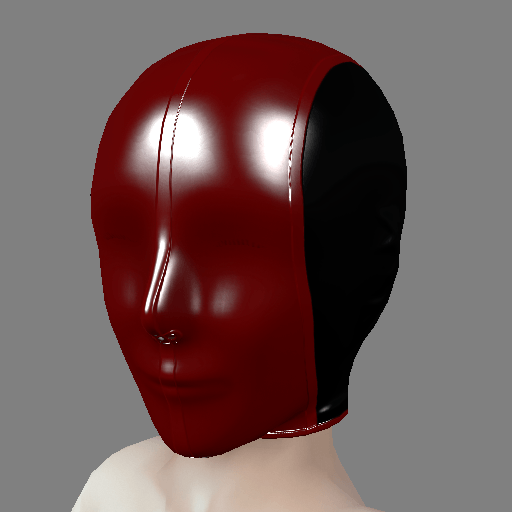 I’ve added some extra seams from the hawk/falcon hood to the faceless hood to compensate a little for the lack of details and added the same alternate color patterns. 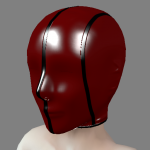 I’ve also started a more normal hood style. The objective there is to make a version that is a little less threatening than the one I initially made, a more “submissive friendly” look. The eyes are doing the job. The mouth seems a bit… odd.